24-hour forecast: Cloudy spells with a few showers mainly north today then mostly over the south and along some coastal areas tonight. Elsewhere showers will be isolated. General Outlook: For Wednesday and Wednesday night is for cloudy spells with a few showers mostly south. Today NE 5-15 kts Slight-Light Chop 1-3 ft A FEW SHOWERS NORTH. Tonight N-NE 5-15 kts Light Chop-Choppy 1-3 ft A FEW SHOWERS ESPECIALLY SOUTH. Tomorrow N-NE 5-15 kts Choppy 3-4 ft A FEW SHOWERS MOSTLY SOUTH. Outlook N-NE 10-20 kts Choppy-Moderate 3-6 ft A FEW SHOWERS MOSTLY SOUTH. 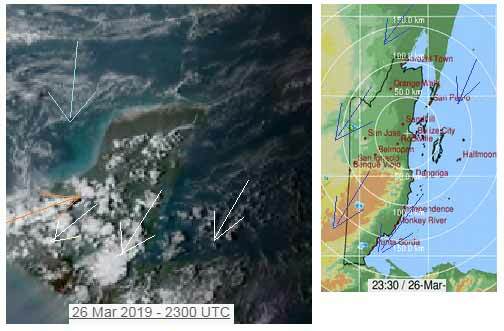 An inverted trough extends from the Atlantic into the northern Caribbean between eastern Cuba and Hispaniola and just to the east of Jamaica from 27N72W to 17N78W. Isolated showers are continuing across the northern and western Caribbean. Scattered to numerous showers are moving across and south of Hispaniola. Scattered showers are moving east- northeast across Puerto Rico and the Lesser Antilles. Moderate to fresh trades are over much of the eastern and central Caribbean. 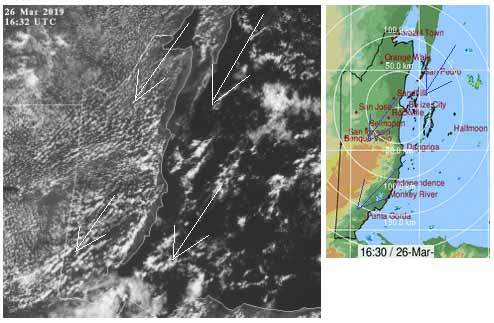 Strong winds south of 13N are near the Colombia coast and light to gentle winds are in the northwestern Caribbean. Mid to upper level ridging is centered over Central America, providing subsidence across the basin. High pressure east of Bermuda will support fresh to strong trade winds off Colombia into mid week. The winds will diminish mid to late week as the high pressure shifts east ahead of a cold front. The front will move into the northwest Caribbean on Wednesday, then stall and dissipate from eastern Cuba to eastern Honduras through the latter part of the week. 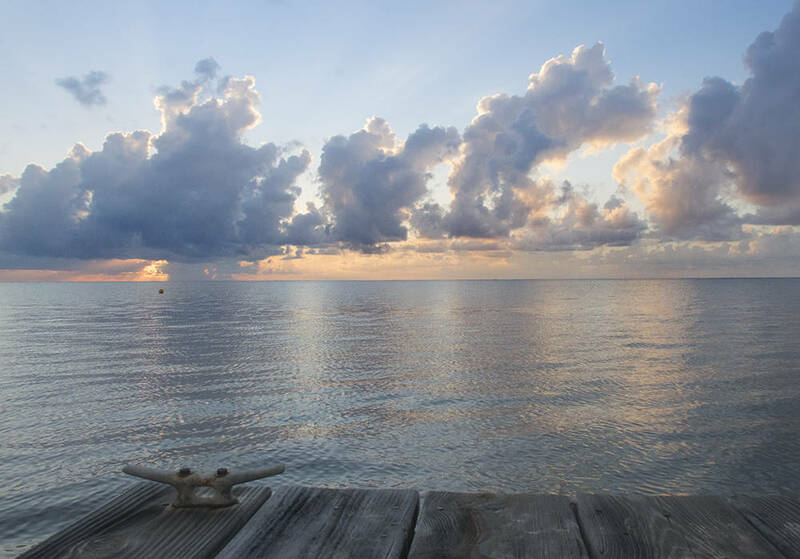 On Ambergris Caye this morning the sea around our Barrier Reef is flat calm with a hint of a breeze from the North. It's sunny with an expected high temperature of 83 f.
There are patches of clouds in the Caribbean winds, coming down from the NE. 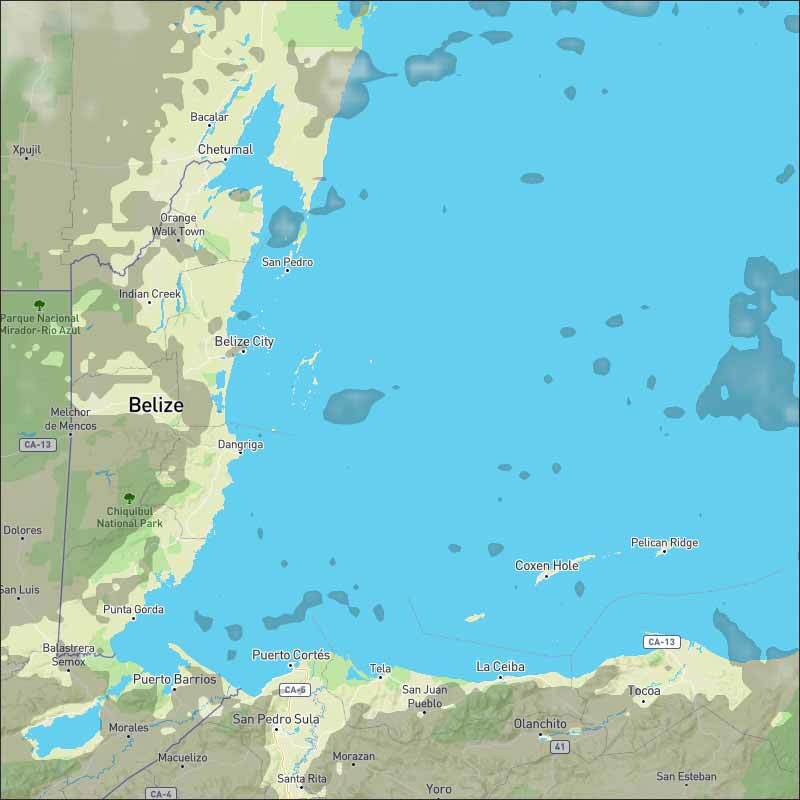 There can and have been patches of rain, presently in a few parts of central Belize, but most are out at sea. 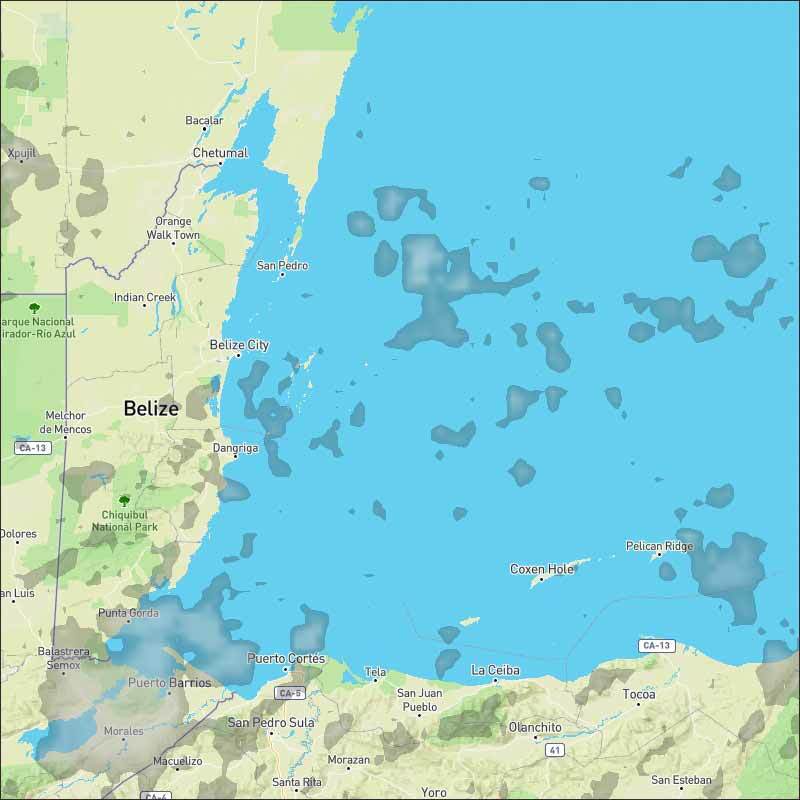 As you see, there has been a few heavy areas of cloud and a few small rain showers in any part of Belize. There is a cool front pushing down from the north, that might effect our weather tomorrow or Thursday. Looks as if sun and cloudy patches will continue tomorrow, Wednesday and the possibility of occasional rain showers.